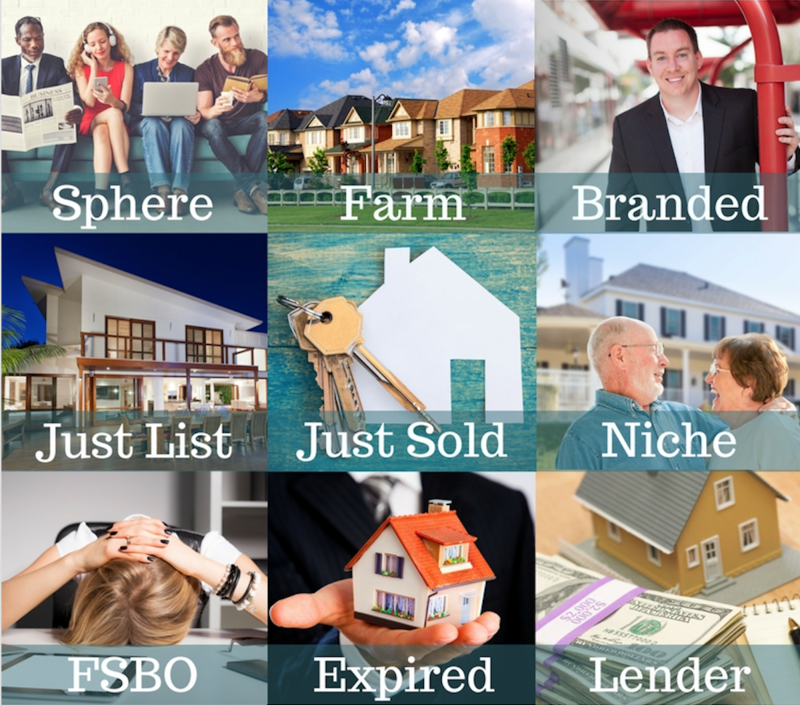 Set up multiple valuation sites to target leads more effectively and generate more seller leads. Step 2: Choose a custom domain name. Step 3: Select a Background Photo. Photos should reflect the area where you sell. A photo of a home, neighborhood, landscape, landmark, park, cityscape, team photo are some easy suggestions. *Note: When using custom photos be sure you have permission to use the photo before posting it on your site for marketing. Pro Tip: Photos can be found for free on Google Images with the correct permission filters, can be purchased from sites such as flickr or you can hire a local photographer to photograph local landmarks to use on your valuation sites and marketing. 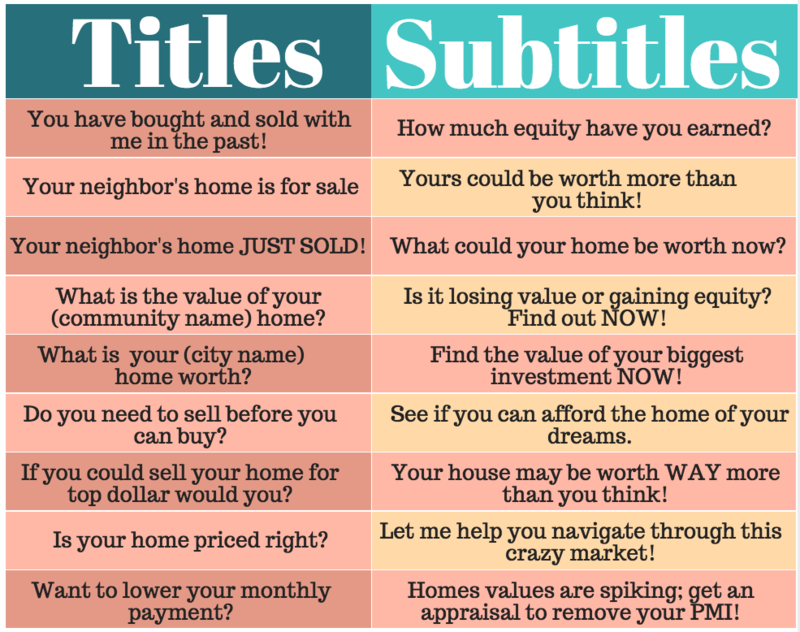 Step 4: Write a Customized Title and Subtitle. Pro Tip: Customizing your button names for each valuation page has proven to be very successful so get creative; don't be afraid to say "continue", "almost done", "Step 1 of 2", or even "Go Seahawks!" to encourage your leads to fill in the form and submit the information. Step 5: Market your Site. Drive traffic to your site through different marketing efforts. 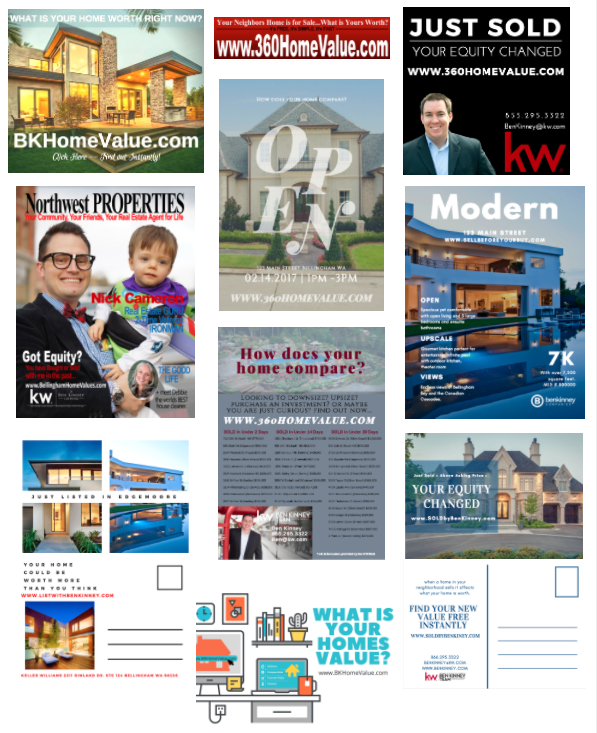 Add your valuation site domain name to newsletters, postcards, front yard flyers, door knocking flyers, door hangers, sign riders, letters, note cards, email signatures, call scripts and much more! *Note: Brivity will set up your first valuation site for you to start marketing today! 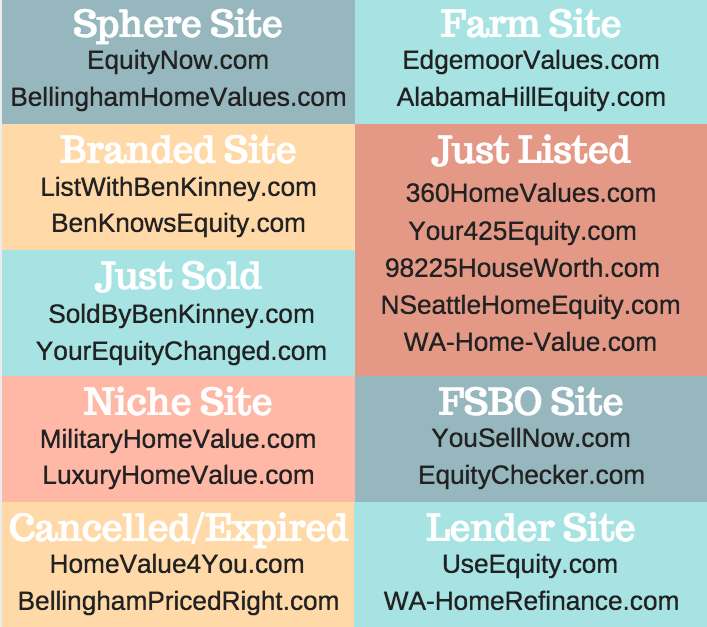 There are an additional 9 valuation sites available to you to target your marketing and branding.